You can add Texas and Houston, with Tampa and Miami in that mix as well. Have a 12 year winning streak versus the NL – and should continue the trend this year too with 6 of the worst clubs in the whole Major Leagues residing in Cincinnati, Milwaukee, Atlanta, Philadelphia, San Diego and Colorado. The better teams in the NL are solid, but the whole AL can play near .500 baseball against them too. Point being is that with a 162 game schedule on the board, there is no rhyme or reason why you couldn’t play all 29 other clubs for at least once series. How would that happen exactly. Then to play your natural rivalry and additional 8 times. But alas 50 games in Interleague would be blasphemous in today’s climate. As the National League Clubs would hate finding Designated Hitter for the AL games, and the Junior Circuit would also not like finding their DH’s on the bench for 25 games. I have predicted the AL will win almost 60% of their games this year. This is a bit drastic yes, but it has happened before in 2006 – and almost again in 2008. In addition to that forecast, I think the American League can push this season winning streak versus the National League to 20 or 25 years without losing. It is easier to find a glove for a DH that is not used to it, as oppose to a bench player that may not bat every day. Clearly by now this is a clear advantage for the AL. Out of many of the top recent Free Agent signings the last 7 years (Mark Teixeira, Albert Pujols, Prince Fielder, Jacoby Ellsbury, Robinson Cano, Shin-soo Choo, Justin Upton, Chris Davis, Josh Hamilton, Brian McCann, Hanley Ramirez, Pablo Sandoval) all signed with the American League. Both Adrian Gonzalez and Carl Crawford were signed originally by the Boston Red Sox – before being returned to the NL in massive salary dumps. 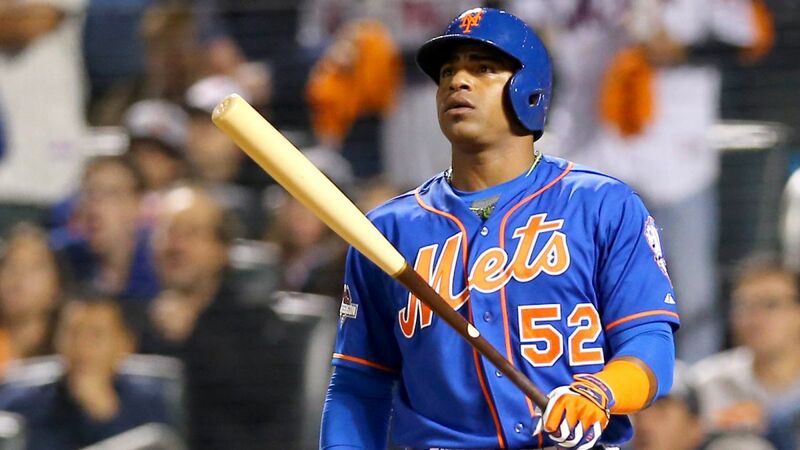 If Cespedes stays in New York past 2016 – instead of the using his opt out clause it probably means he would have not had a great season. Should he crush the ball all campaign – and hit the open market, odds are good he will be flashing a uniform with an American League franchise in 2017 based on recent history. It is the evolution of the more talented offensive players migrating to the AL in my opinion, on how the Junior Circuit has crushed the Senior Circuit in Interleague over the last decade. Jason Heyward is the most significant FA signing in the National League of late as a positional player (without extended from their last played club since Jayson Werth inked a 7 year deal with Washington after many great years in Philly, Hunter Pence, Matt Holliday (although more of an extension with STL, rather than flat out signing). It is about an 11 to 3 ratio there. The reason is because of the American League’s ability to transition an older player into a Designated Hitter role. Guaranteed when Mike Trout, Bryce Harper and Andrew McCutchen all hit the open market, that at least 2 of them will sign in the American League – if not all 3. St. Louis and San Francisco have mostly cultivated their own talent through drafting. The Mets made it to the World Series last year without signing any major Free Agents beforehand. Freddie Freeman is a top player in the game for Atlanta – and was drafted by them. Same goes for Joey Votto and Ryan Braun, both guys yielding massive long extensions. This is why the Giancarlo Stanton signing was so surprising by the Miami Marlins. Ryan Howard was once one of the best players in the game in his prime. Another drafted player. Matt Kemp is a former MVP runner up and was extended by his former National League club (the Dodgers, befire being traded to San Diego). Really this guy should already be a DH. Of course the pitching has been pretty fair across the board in recent signings. Max Scherzer, Zack Greinke, Jon Lester, James Shields and Cliff Lee were with American League clubs to solidify their good standing as starters before heading to greener pastures and cash. Johnny Cueto and Jeff Samardzija were NL Draft selections with the Reds and Cubs respectively – but ended up with AL Clubs before inking new deals with the NL Giants. Mike Leake was a Reds Draft pick, and is still in the Senior Circuit with the Cardinals. David Price, Jordan Zimmermann Masahiro Tanaka, C.J. Wilson. Yu Darvish, CC Sabathia (circa 2009), A.J. Burnett (circa 2009), Ian Kennedy, all signing via International bid (or to the highest bidder) help counter off set that. Roy Halladay was the best pitcher in baseball when extended his deal with the Phillies to keep pitching there. 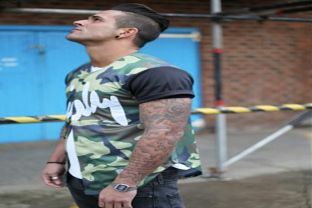 All of these chuckers can lay claim to ace status at some point their career. It is a more even playing field. Clayton Kershaw. Felix Hernandez, Matt Cain, Justin Verlander, Cole Hamels, Jered Weaver and Adam Wainwright all fall into signing big extensions with the club that they first had success with in playing their entire career with the franchise at time of extension. (Wainwright was drafted by the Braves, and is the only guy here who wasn’t drafted by the extending team. Only Hamels has since left their designated clubs in a trade. The whole diatribe was to explain that American League squads have a cushion to fall back in signing the best offensive ‘Free Agents’ – whereas the pitchers on the open market are more equal. I believe this factor, combined with the role of the Designated Hitter (being more important than the steroid era) as a a source of power, as the biggest contributing factors in this streak. Unless there is uniformity in the whole league one way or another (DH or pitcher only), this will continue to favor the American League in Interleague play. My idea of hitting just 8 batters, and having the pitcher neither hit, (or be hit for) did not do well in poll I recently put out. I get it. But it would sure grow offense in the game having the better hitters receive more AB with having just 1 – 8 in the lineups. So the American League will keep winning this yearly competition…The fans of the National League will just take it because they don’t want to live in a world with a DH. Fans, who come out in bigger droves to Interleague, because it is something new and cool, will be happy to see an opposing league’s team about once every 6 seasons right now. I am telling you – if there was uniformity in the league no matter who you choose to do it, it would even the playing field. The worst think that would happen is if they expanded by two clubs – and did away with Interleague. Fan bases of opposing league’s should want to see a player like Mike Trout or Bryce Harper more frequently than once every 6 years. Under my format, 2 years would be the maximum amount of time. Wait. what am I saying? 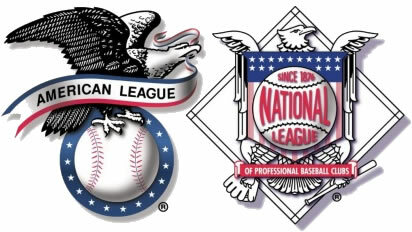 I love the American League more than the National League – so what do I care? The AL keeps winning the ALL – Star Game too!! Since I live near Los Angeles, I can see whatever player I want in the whole MLB. Forget what you just read and be on your way. Sorry to waste your time..My bad..Nevermind. 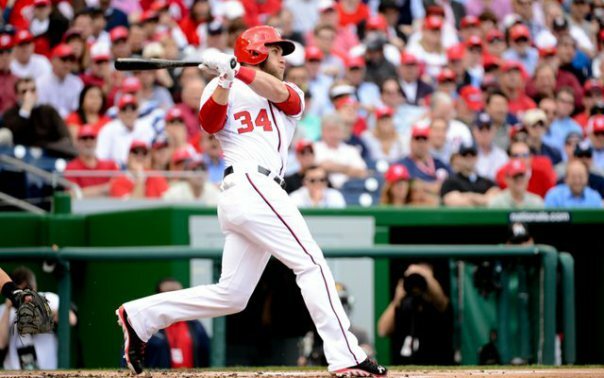 I believe the best chance for Bryce Harper to remain in the National League – is to sign an extension with the Nats prior to hitting the open market in 2019. The 23 year old current MVP will play the next 3 seasons with Washington before putting his talents up for bidding prior to his age 26 year. Who will come calling. It is my guess he will become a Yankee for 13 Years/$455 MIL in 2019, at $35 MIL per year Annual Average Value. The AL will have a better chance to win his services because of the DH position. Posted on April 9, 2016, in MLB Reports and tagged al central, AL East, AL West, All 30 MLB Teams, American league, arizona diamondbacks, Atlanta Braves, baltimore orioles, boston red sox, chicago cubs, Chicago White Sox, cincinnati reds, cleveland indians, colorado rockies, Detroit Tigers, houston astros, kansas city royals, la angels, la dodgers, miami marlins, milwaukee brewers, Minnesota Twins, national league, new york mets, new york yankees, NL Central, NL east, nl west, oakland athletics, philadelphia phillies, pittsburgh pirates, san diego padres, san francisco giants, seattle mariners, st louis cardinals, tampa bay rays, texas rangers, Toronto Blue Jays, washington nationals. Bookmark the permalink. Leave a comment.